With Google being the most popular search engine, Android being the most popular OS, and Gmail being the most popular email client, well, we can safely assume that Google knows a lot about us and has access to a lot of our personal information. However, the company is well aware of your privacy and security concerns and has now rolled out its revamped ‘Safety Center’ in India. Google Safety Center, as the company says, is designed to educate the users on online privacy, data security, and protection of users of all ages online, especially on how to they can manage it. The company has pulled together all its resources and tools under one roof to teach Indian users about its seven “privacy and security” principles and their online safety. There are three main features that Google is extending over to you to help you safeguard your data and privacy. First up, you have the ‘Your Security’ setting that informs you about the health of your Google account. It does help detect and block threats but is more useful in guiding you through steps you need to take to secure your account. Secondly, Google also gives you the option to quickly review and adjust your privacy settings to be on top of things and not share any unnecessary info which you don’t want Google to access. And finally, there’s the ‘My Activity’ feature that you can access to see your daily activity – be it searches, interactions with Google Assistant, and Google Maps navigation data among others – and delete what you think shouldn’t be there. 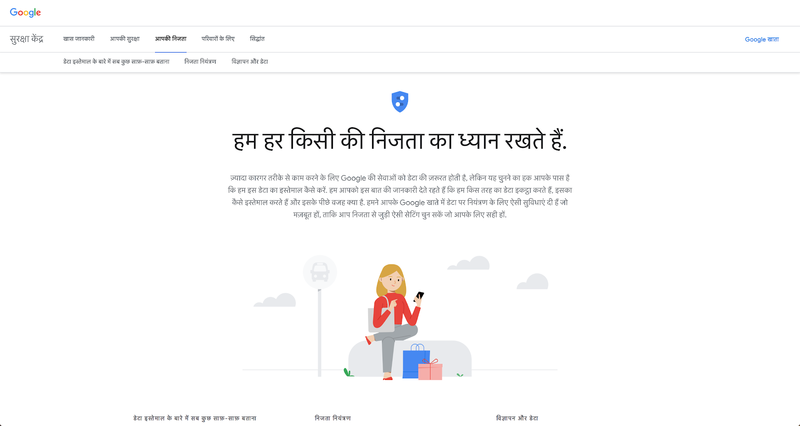 The highlight here is that the Google Safety Center will also be available to users in nine Indian languages, including Hindi, Bengali, Gujarati, Kannada, Malayalam, Marathi, Tamil, Telugu, and Urdu. This is going to make security settings more accessible to a lot more users in the country. 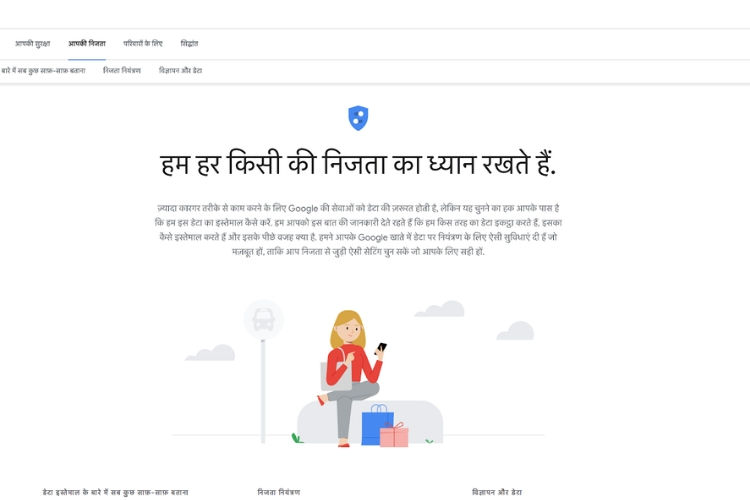 If you want to about the security and features being extended to you, simply head over to the Google Safety Center using this link. 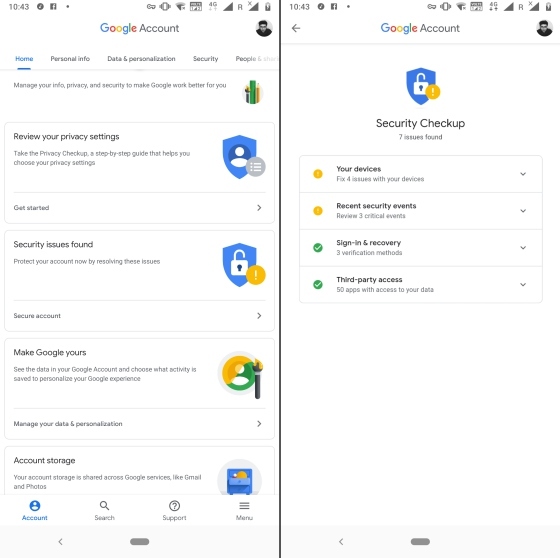 You can use the features discussed above using the Google Account link at the top right and secure your account from any malicious activity. So, are you ready to have better control over your online privacy and security? Do let us know your thoughts in the comments below.